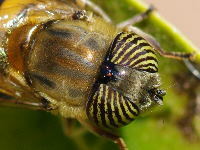 Eristalinus taeniops belongs to the subfamily Eristalinae, tribe Eristalini. Portugal, Spain and round the Mediterranean basin (southern France including Corsica, Italy including Sardinia and Sicily, parts of the former Yugoslavia, Albania, Roumania, Cyprus, Greece (including Crete and Rhodes), Turkey, Lebanon, Israel, North Africa (Syria, Egypt, Libya, Tunisia, Morocco), Canary Islands, Transcaucasus; in eastern parts of the Afrotropical region down to South Africa (inclusive) and in Nepal and parts of Pakistan and northern India in the Oriental region. 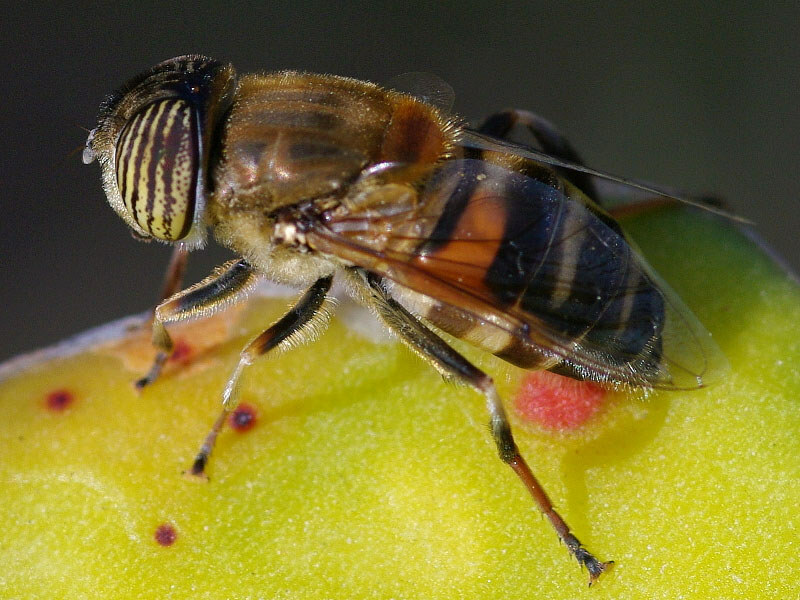 Forest/open ground/freshwater - in Quercus ilex forest and maquis. 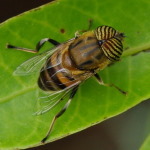 Eristalinus taeniops reaches a body length of 11 - 14 mm. 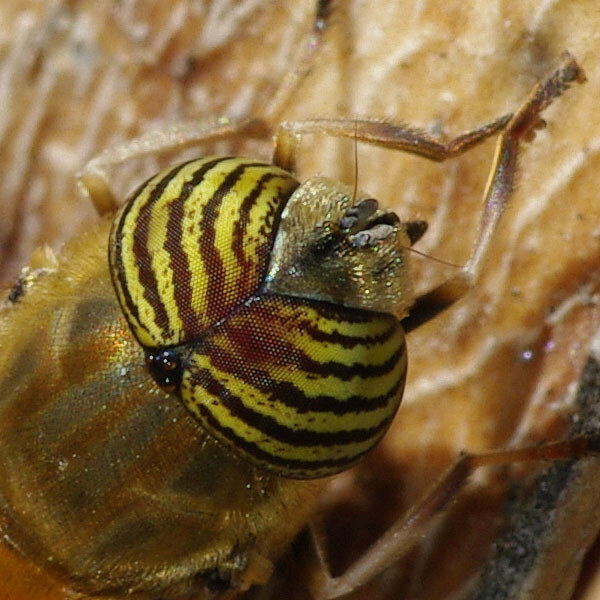 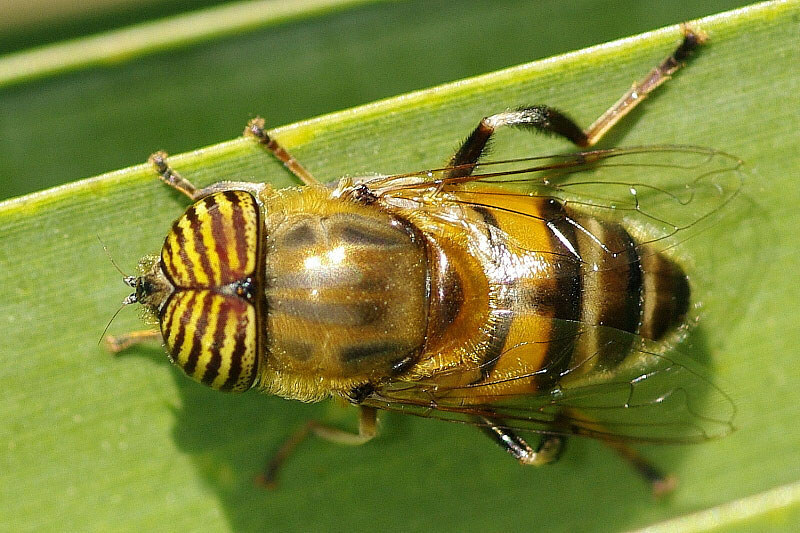 The species is easily recognizable by the striking yellow and brown striped eyes. 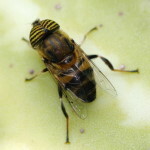 The other 3 European Eristalinus species have spotted eyes. The Band-eyed Drone Fly Eristalinus taeniops flies from April to Oktober with peaks in May and August. 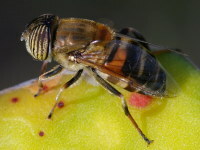 Outside of Europe in the Canary Islands, the species probably flies all year round. 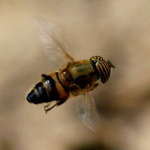 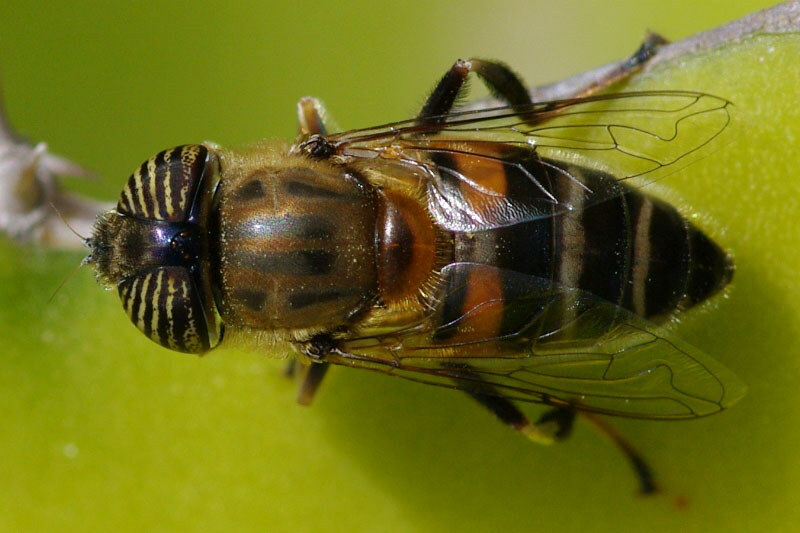 In Fuerteventura, I observed adults of Eristalinus taeniops in February, March and December. 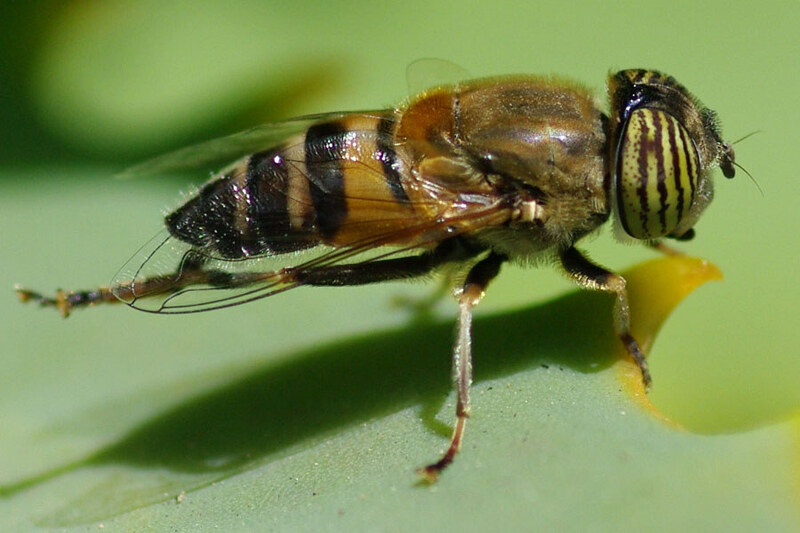 The larvae were found in standing water containing decaying plant material or rotting animal carcasses and also in running water contaminated by pig manure. M.C.D.Speight: Species Accounts of European Syrphidae (Diptera), Glasgow 2011, Syrph the Net, the database of European Syrphidae, vol. 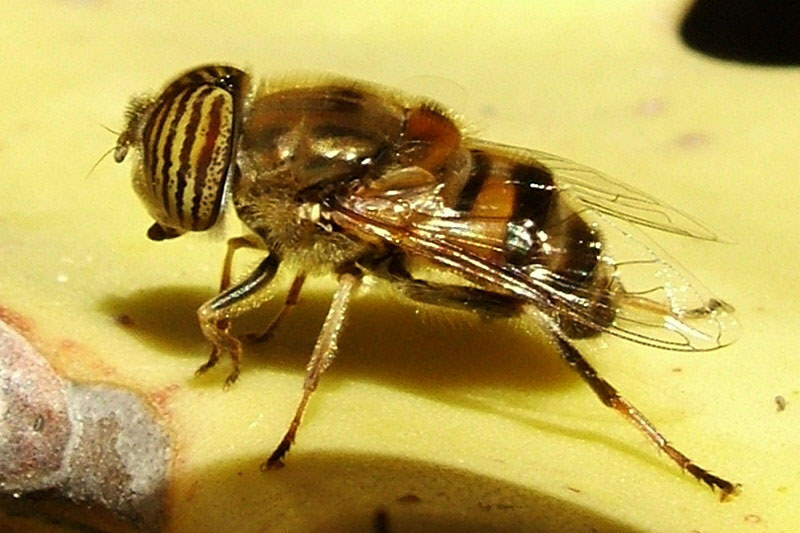 65, 285 pp., Syrph the Net publications, Dublin.